Baltimore City Mayor Catherine Pugh takes indefinite leave of absence. BALTIMORE, Md. 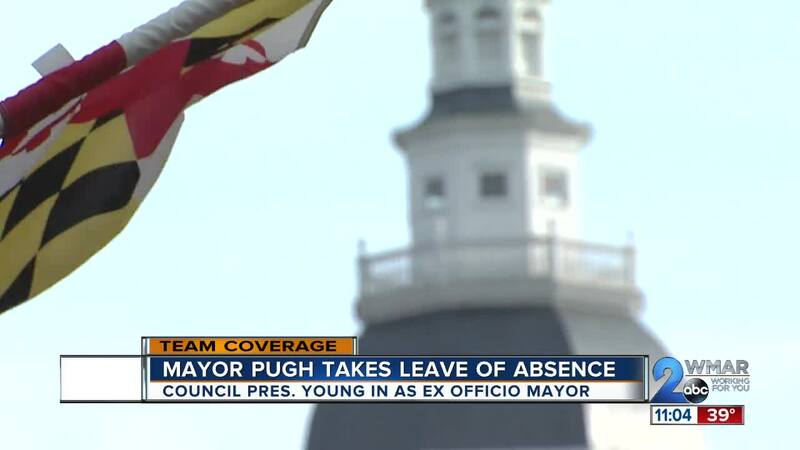 (WMAR) — While Baltimore City Mayor Catherine Pugh's fellow leaders are praying for a speedy recovery, many of them don't think she deserves to return to office. The last few weeks have been a whirlwind with the center of the mess around Mayor Pugh's “Healthy Holly” children's book controversy. On Monday her office announced she is taking an indefinite leave of absence at the advice of her doctor. Notably missing from her statement was any mention of her $500,000 “Healthy Holly” book deal with the University of Maryland Medical Systems Board that she sat on, or the $14,500 from CareFirst BlueCross BlueShield to a group called Associated Black Charities to buy 2,000 copies of the books, or the $114 thousand Kaiser Permanente spent on Pugh's books. As the news piled in Monday night, city law makers started to talk about the controversy. Maryland Comptroller Peter Franchot said Pugh should resign. Maryland Governor Larry Hogan is calling for the State Prosecutor to open an investigation into the Mayor and her book deals. Councilman Ryan Dorsey was also not holding his words reacting to the controversy. Council President Jack Young will take over as Ex Officio Mayor of Baltimore effective Tuesday at 12:01 am. He said his prayers are out for the mayors health, but he is ready for the challenge. Councilman Brandon Scott said these issues shouldn’t overshadow the 22% increase in homicides and a 24% increase in non-fatal shootings. “The city must go on and the leaders that are still here in the city must show that the citizens of Baltimore and the way that their government operates matters to them,” said Scott. The stink of this on the state and city level, speaks to a larger need for structural reform, including the city's board of estimates. Young said he understands how traumatizing this has been to the people of this city. He is committing to getting to work to rebuild trust immediately.